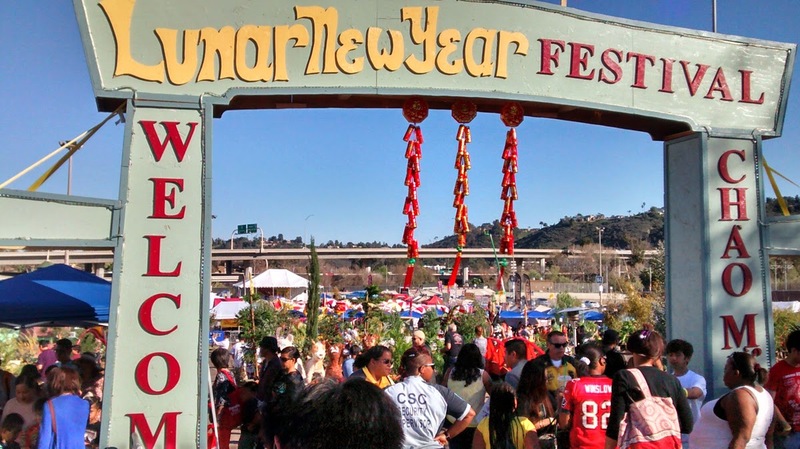 San Diego's biggest Lunar New Year Festival takes over Qualcomm Stadium this January 20-22 to celebrate the year of the rooster! Produced by The Little Saigon Foundation of San Diego, The Lunar New Year Festival draws 30,000 guests to Mission Valley each year for Asian delicacies and unique cultural delights, as well as live entertainment, carnival rides and a beer garden. People of all ages are invited to attend the Lunar New Year celebration to welcome the year of the rooster. The event features a unique mix of Asian delicacies available for purchase from countries such as Thailand, Laos, Vietnam, China, Taiwan, and the Philippines. Desserts and beverages such as boba mixed drinks and smoothies will also be available, as well as a beer garden full of options. Vegetarian and vegan food will be available. There will also be carnival rides, live entertainment like firecracker shows and a Lion Dance, a Miss Asia pageant, a cultural village with replicas of famous landmarks and unusual structures in Asia, and much more. Tickets start at $4 and parking is free. The Lunar New Year Festival at Qualcomm is produced by the the The Little Saigon Foundation of San Diego, a 501(c)(3) charity with the mission to create, better and improve the Little Saigon Cultural and Business District along El Cajon Boulevard from Highland Avenue to Euclid Avenue. The Little Saigon Foundation is an organization in City Heights whose mission is to develop the local community through means of revitalizing its infrastructure, promoting culture and tourism in the area, and engaging youth, residents, and businesses in civic responsibilities. "The city can say, 'hey man, it’s the Little Saigon District,' and you can look it up on Google maps," said Frank Vuong President, Co-Founder and acting Executive Director of The Little Saigon Foundation. "A lot of people don’t like to go to City Heights because they think it’s a ghetto area and we will change that." 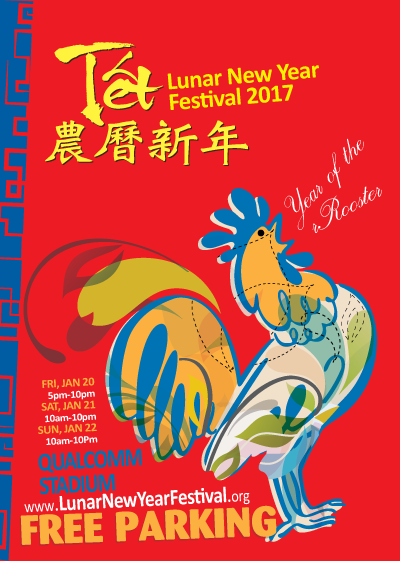 For more information on The Lunar New Year Festival, visit lunarnewyearfestival.org.